Do You Need X-Rays Scanned? 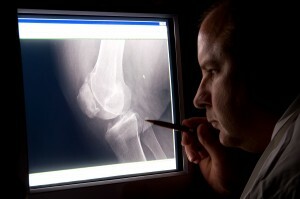 Whether you manage a doctor’s office or a dentist’s office there are going to be x-rays that you will need to maintain. Instead of keeping them all over your office, filed in a way that makes them difficult to find, along with taking up space, why not scan them into your system so that they are not only easier to read, but also so that you can access them at anytime, anywhere. It really isn’t that difficult to get your x-rays scanned into your computer system these days. Before you start scanning all of your x-rays you are going to want to make sure that your software will support having x-rays, or make the decision to go paperless all around if you haven’t just yet. What is the point of getting all of your x-rays put into digital format, if the rest of your paperwork isn’t going to be? What Do You Get Out of Converting Your X-Rays? Once you have made the decision to get everything digitized and put onto your computer you are basically deciding to make your life easier. Depending on how you choose to store your documents, you can actually make it so that you and your staff are able to access your x-rays anytime from any place. This also makes it much easier to send these images to other doctor’s who may need to look them over, and even to send to your patient’s so that they have access to their x-rays in a much more convenient way. Don’t be afraid to take the next step in digitizing your office’s x-rays! Get Free Quotes on Your X-Ray Scanning Project Today! Scanned X-Rays are easy to organize and sort through to find exactly what you’re looking for. But that’s only if you start your scanning project right from the beginning. Call Record Nations at (866) 385-3706 or fill out the form on the right. We will get you FREE QUOTES on X-Ray scanning services in your area, and answer any questions you have.